From messy kids and pet accidents to whatever's stuck to the bottom of your shoe, carpets inevitably get stains. Prior to cleaning the carpet, we apply a variety of specialty spot removers depending on the types of stains present. During pre-inspection, your carpet technician will locate hidden spots using a couple of special tools. An Ultraviolet Light is used to identify biological stains, such as urine and vomit. In addition, a tool called the "Hydro-Sensor" indicates whether there are non-biological spots present, such as water or soda pop. Often times carpet fibers may feel dry on the surface, but dampness can linger deep within the padding underneath. Distinguishing wet spots helps with properly diagnosing and treating problem areas. 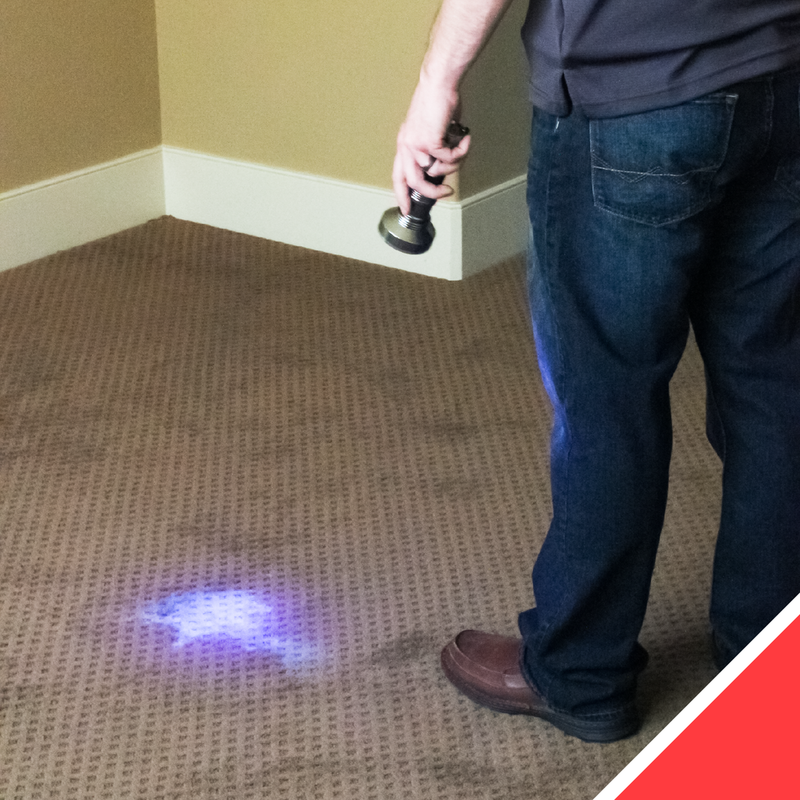 Using the Hydro-Sensor and the UV light gives us the most accurate picture of what kinds of stains may be hiding in your carpet and where. The sooner you have spots treated the better. Fresh stains are more likely to respond to treatment than old ones. If the carpet fiber is light in color, there is a chance that there will be some permanent discoloration depending on the type and severity of stain. If the carpet is dark, we can often drastically improve and sometimes completely correct stains. In really tough cases, we may need to do a repair like a carpet patch or dye job in order to completely remove the spot. Why did bleach spots appear after my carpet cleaning?